Blue Rose Epics | Entertainment: Sabrina the Teenage Witch Arriving in Riverdale? 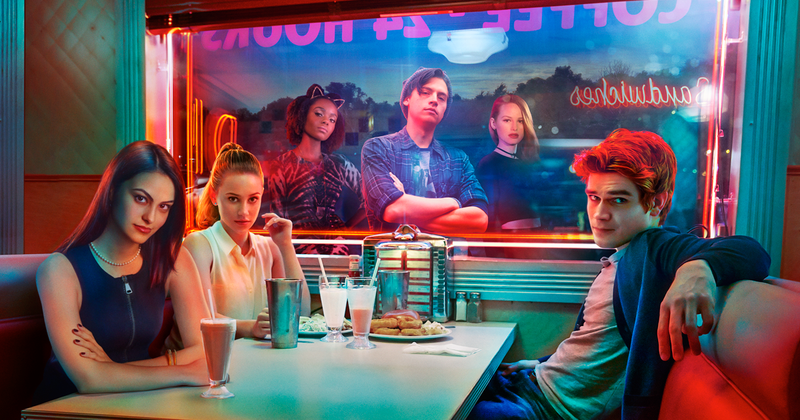 Somehow, the unlikely mashup of Archie Comics and Twin Peaks (1990-91) resulted in one of the best new TV series to air this year: Riverdale (2017-Present). It is one of those rare CW Teen Dramas that completely surpasses all expectations and delivers the kind thrills, mystery, and chemistry that has been missing from television for far too long. And it looks like the most magical Riverdale resident is finally ready to make an appearance: Sabrina the Teenage Witch! Back in the late 1990's and early 2000's, the Melissa Joan Hart starring Sabrina the Teenage Witch (1996-2003) was a charming, family friendly supernatural sitcom that still holds up today with children and adult viewers alike. Attentive viewers in those days would recognize in the credits hints that Sabrina's character is originally from Archie Comics and Sabrina the Teenage Witch was first a spinoff comic book series before it was turned into a successful TV show later. According to the recent Nerdist newscast video embedded above, the Disney Channel's Dove Cameron (pictured above and at the top of article) is the odds on favorite to be cast in the role. Unfamiliar with her work, I can say that she looks like she would fit in nicely with the rest of the cast and would shake things up nicely. And for those weirded out at the prospect of this superb night-time soap opera delving into the supernatural, this is nothing that the original comic book and the show's inspirational guide Twin Peaks have not done before. If anything, that is part of the charm the fictional town of Riverdale always had. Bring it!